As you integrate reviewing into your work process, you may need to create slightly different reviews for different document types or different projects. For example, depending on the document type reviews may require different type-specific fields, and depending on projects they may need slightly different participant roles. 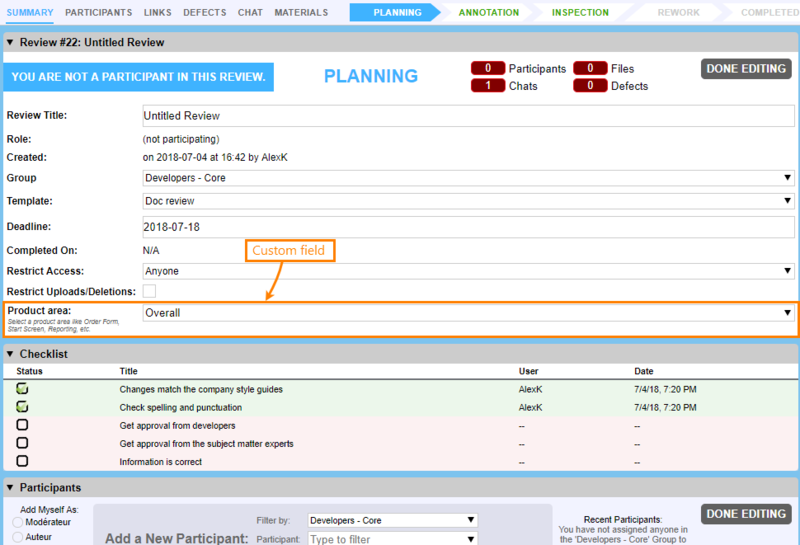 Applying a template to a review may clear custom fields and the list of participants of this review. Existing values of custom fields will be retained upon changing review template if the custom field exists in both templates. Existing review participants will be retained upon changing review template if they are allowed to use new template. For information on creating custom fields and on their parameters, see Custom Fields. A checklist is a list with check boxes for its items. You can see it as a list of actions to do or conditions to check for a review. You can use different checklists for different document types. You can see the check lists on the review screen. 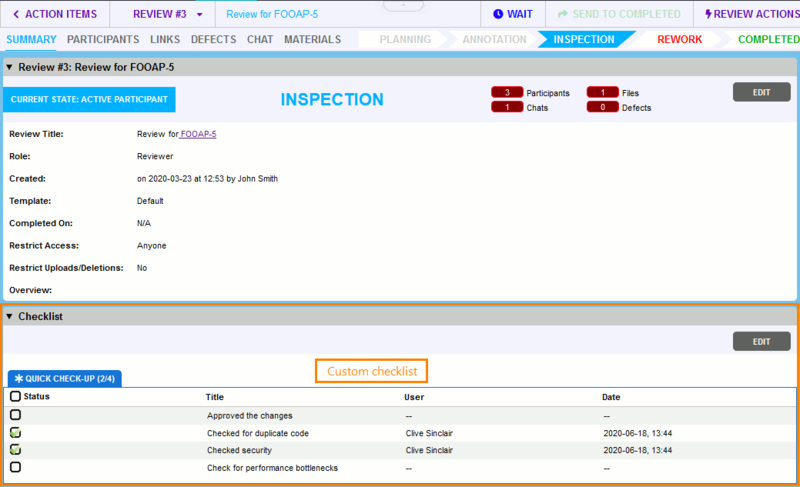 For information on creating and configuring check lists, see Checklists. A configuration of participant roles that Collaborator will use in a review. You can use them to change role permissions and names. For information on creating and configuring roles, see Roles. Review fields may contain links to external resources like website pages or links to items of a remote bug tracking system. The Automatic links group of settings let you specify rules that Collaborator will use to replace text in multiline or single line fields with links to remote resources. For information on creating and configuring automatic links, see Automatic Links. 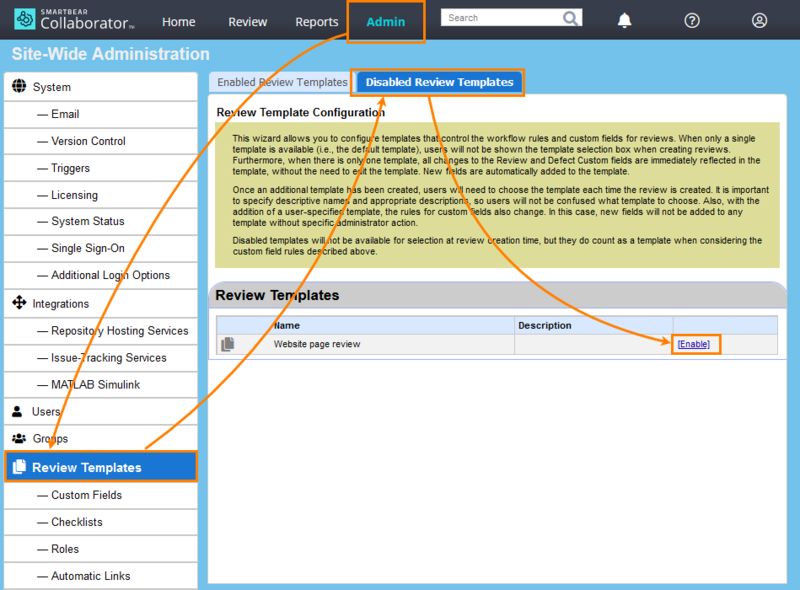 To create and edit review templates, you need administrator permissions in Collaborator. Log in to Collaborator as administrator. Select ADMIN on the main toolbar. 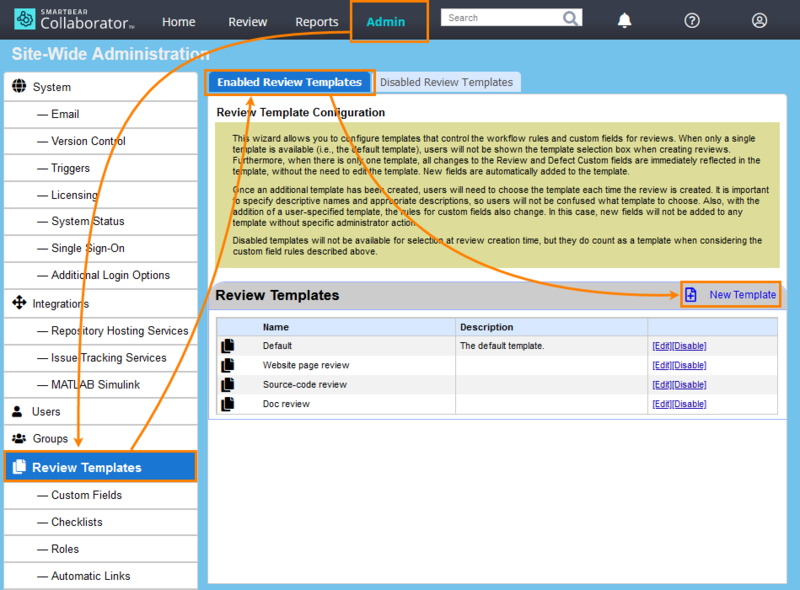 Then choose Review Templates on the left. Click Save anywhere on the page to save the changes. Go to ADMIN > Review Templates. Configure review parameters and click any Save button to apply the changes. To re-apply a template, simply select it again from the Template drop-down list.